This post, information, and giveaway is sponsored by Green Virgin Products. As always, all opinions are my own. This week, I used a brand new to me oil, moringa oil. This oil is very versatile because it is great for acne prone skin and it is known for its anti-aging properties. Basically, this oil is great for any skin type, which is very unique for a skin care oil. It's also high in antioxidants, so it can help slow down aging. Moringa also contains more zeatin than any other plant. Zeatin is a plant hormone that promotes cellular growth, which can delay the aging process. It helps boost collagen production in your skin, which is important to prevent fine lines and wrinkles. You can use the oil by itself to moisturize your skin, and it works great on your cuticles. If you have flakes caused by dry skin, massage the oil on your scalp and let sit for several minutes before washing your hair. I wanted to get some of the skin benefits from the oil, so I decided to make a toner to use after washing. Since you don't rinse it off, you'll get all of the benefits of the oil without adding a step to your morning routine. 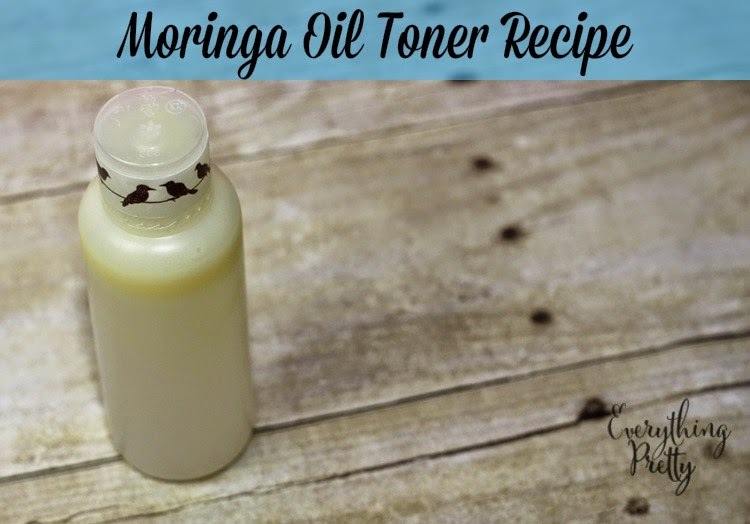 This moringa oil recipe is also very easy to make at home and just takes a few minutes. If you have oily skin, you can omit the coconut oil. As the coconut oil cools off, it will start to get solid again and float in the bottle. Shake well before using it each time. Green Virgin Products has generously agreed to give away three bottles of Moringa Oil to three lucky winners! Each bottle is worth $26.95! One bottle per winner. 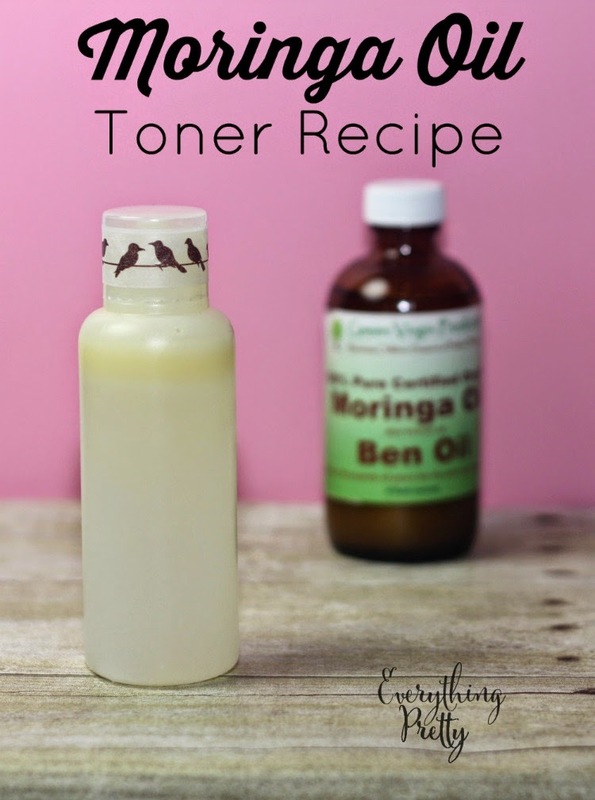 Bottles are 4 ounces, so there is plenty to make this moringa oil recipe and more!